Your eyes are one of the most complex organs in your body. A comprehensive eye exam is an important part of your overall general health maintenance and should be scheduled on a regular basis. 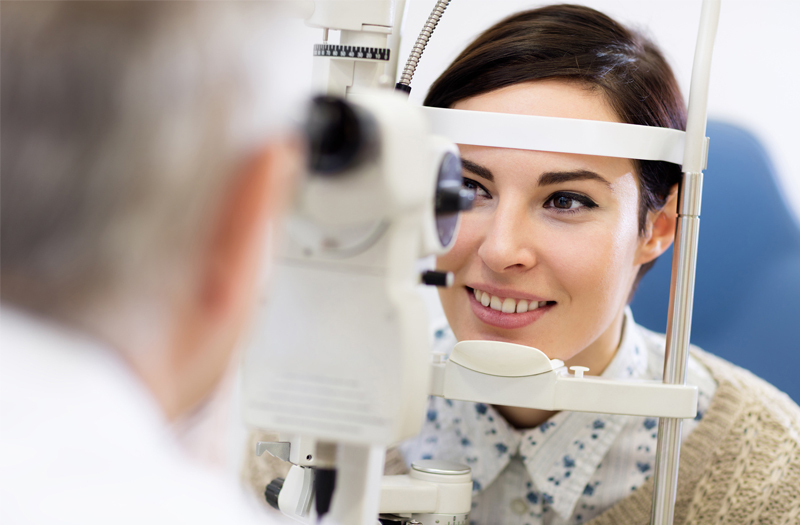 The findings from your comprehensive eye exam can give your doctor important information about your overall health, particularly diabetes and high blood pressure. A comprehensive eye exam involves a number of different steps. Read more from the American Optometric Association. One of the most important parts in a comprehensive eye exam is your patient health history. This information will alert your doctor to any conditions that should be monitored closely, such as an allergy to any medications, current or family history of systemic or eye pathology that could be affecting your vision or eye health. Visual acuity is a measurement of your vision using an eye chart. In this test, the patient is seated at a standard distance and is asked to read letters or symbols of various sizes, which get smaller as you move down the chart. The results are the familiar ratio of 20/20, 20/40, etc. This is a comparison of your vision compared to the average person with good vision, which is typically 20/20. Most people that have had an eye examination remember the refraction as the part of the examination. The doctor asks, “Which lens is clearer or better—lens one or lens two, or do they appear about the same?” The ophthalmic technician or doctor will refract your vision using a phoropter, a device that contains hundreds of combination of lenses, to determine any possible refractive error such as nearsightedness, farsightedness, astigmatism, or presbyopia. The slit lamp is an instrument that allows the doctor to examine the internal and external parts of the eye in detail, such as the conjunctiva, iris, lens, cornea, retina and the optic nerve. A slit lamp test enables the doctor to evaluate the eyes for signs of normal aging and eye pathologies, such as conjunctivitis, cataracts, macular degeneration or retinal detachment. Early diagnosis and treatment of eye diseases are essential for preventing vision loss. Tonometry is a test to detect glaucoma by measuring the pressure inside your eye or IOP (intraocular pressure). Glaucoma can cause vision loss and even blindness if the IOP in the eye is too high and damages the optic nerve. Prior to doing this test, the doctor will numb the eyes before gently applanating (putting pressure on) the patient’s cornea to measure the pressure in the eye. Dilation is done at the discretion of the doctor, with some patients dilated every year and others at specified intervals. The frequency of dilation will vary for each patient. 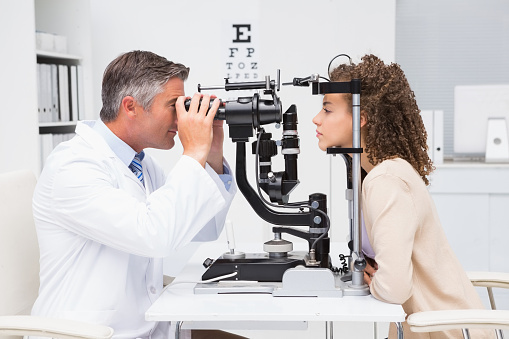 In this test, your doctor will instill dilating drops, which will enlarge your pupils to give the doctor a better view of certain parts of the back of the eye. Typically the drops take around 20 to 30 minutes to take effect and may last up to several hours following the exam; each patient is different. Since more light enters your eyes when your pupils are dilated, you will be more sensitive to bright light, especially sunlight. We provide disposable sunglasses, but you may want to bring a pair of sunglasses to wear after the exam to make it more comfortable until the drops wear off. We recommend a comprehensive eye exam for adults every one to two years, depending on your age, risk of disease and medical condition. Patients with diabetes should have a comprehensive, dilated exam every year. Eye exams are important to check for early signs of eye disease, such as glaucoma, which has no symptoms in its early stage. Many eye conditions develop gradually without causing pain or vision loss, so you may not notice that anything is wrong until significant and irreversible damage has been done. Early detection allows for a choice of treatment options and reduced risk of permanent damage. Even if your eyes are healthy, you should still have a regular eye exam. Children should have regular exams to ensure the proper development of their vision and prevent any interference with their academic achievements, since vision is closely linked to the learning process. Children with undetected vision problems often have trouble with their schoolwork. Many times, children will not complain of vision problems simply because they don’t know what “normal” vision looks like. If your child is performing poorly at school, be sure to have their eyes examined to rule out an underlying visual cause. Thanks to new technologies, more people are able to comfortably wear contacts. We offer the latest technologies for contact lens fitting. We will ensure that your contact lenses give you the freedom and comfort to see the world more clearly. 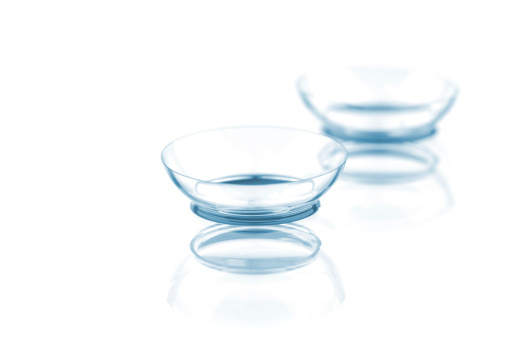 There has never been a better time to try contact lenses for the first time, or re-consider them if you have failed with contact lenses in the past. Thanks to new designs and technologies contacts are now comfortable and affordable. They are suitable for many vision correction conditions.